While driving through the beautiful roads near Lancaster, PA., I stopped to take pictures of some cows. Much to my surprise there was an Amish farm directly across the street. I snapped a few photos but did not want to disturb them as I respect their privacy. Their way of live is so intriguing to the rest of us. If you find yourself in Lancaster, please stop by and take an Amish Horse & Buggy ride, buy a Memento or purchase some tasty authentic Food. Click here to see all the fun things to do in Lancaster, PA. The rural area is so beautiful and makes you feel like you have stepped back in time. Drive through miles and miles of farms and small towns to enjoy the countryside. I adore taking photos of these farms, the farm animals and the community towns. Stop by and see it first hand. These photographs taken near Lancaster, PA. by Kristin Hamilton. I sell real estate in Riverside and San Bernardino Counties; Loma Linda, Palm Springs, La Quinta, Rancho Mirage,Redlands, Highland, Colton, Yucaipa, San Bernardino and other cites too. I am a trained and experienced Short Sale agent. 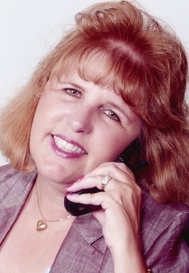 If you are looking for a professional and experienced agent, I am just a click away. Google me at Kristin Hamilton-Real Estate Agent. Homeowners and Buyers both will find my services top notch and successful. Call me to sell your home. I am waiting for your call! 909-557-6966. Google me at Kristin Hamilton. My name is Kristin Hamilton and I sell Real Estate. Call me for all your real estate needs. If you want to sell your home, call Kristin @909-557-6966 or email me at kristinhamilton@kw.com.